Check out Tobi's Almost Famous Tassel Earrings Tassels get some attitude. The Silver Almost Famous Tassel Earrings have a fish hook closure with seven silver tone chains falling from a matching metallic cap. With a tee and moto jacket or at night with a mini dress, you'll love how these tassel chain earrings swish about when you move. Tassels get some attitude. 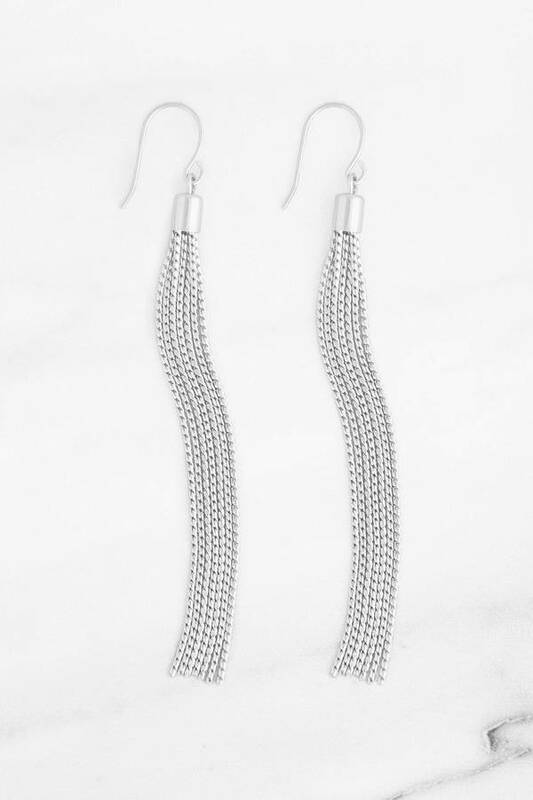 The Silver Almost Famous Tassel Earrings have a fish hook closure with seven silver tone chains falling from a matching metallic cap. With a tee and moto jacket or at night with a mini dress, you'll love how these tassel chain earrings swish about when you move.